Good afternoon everyone! We hope that you are enjoying your Sunday wherever you are in the world, and if you're reading this here in Latvia, we hope you were able to enjoy the bright, crisp weather outside. This week was culturally important as Latvia celebrated its yearly "Dzeju dienas" (poem days) in honor of legendary poet Rainis' birthday. For hopefully the last time in a very long time, we once again start with teacher's salaries, and this time the news is (mostly) good for Latvia's educators. A compromise was reached on Tuesday between the Latvian teacher's union (LIDZA) and the government in which full time teacher's minimum monthly salaries will rise €30 from €680 to €710, and the union has once again called off a planned picket protest in the days before the election. 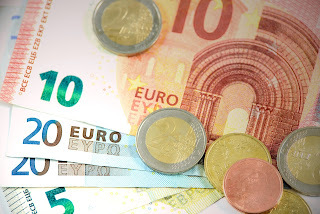 This is the latest development in a saga which dates back to December 2017 when the government first agreed upon a gradual salary increase timetable with the union, with the current €30 rise being the first small step towards an eventual planned €900 monthly minimum in 2022. The government finally confirmed the timetable in January of this year after significant debate, but the finance ministry announced in mid August that there would not be enough budget space for the raises. The union began organizing a September 18th picket protest, but the government announced a week later that the Ministry of Education would be able to fund the increases after all due to savings from localization of school lunch program funding and heating costs. The union called off the protest, but called it back on again just days later last week when the government announced first that the national raise would not apply to long-suffering pre-school teachers (whose raises would have to come from often cash-strapped municipalities) and then that the cabinet of ministers had failed to approve the plan due to disagreements in school accountability measures that would potentially de-fund or completely close schools that did not meet a minimum 12th grade exam result criteria. On Tuesday, the government agreed to slightly relax the school accountability measures, and the union agreed to accept the requirements despite protests that tying salary raises to the measures was a form of blackmail. The government is currently carrying out a "school network optimization" program, which means closing or combining schools that are either too small to remain financially viable or consistently post low exam results. According to a report by LTV1's nightly "Panorama" new program, at least at least 48 (or 14%) of Latvia's 342 secondary schools are at risk of being closed under the new quality measures agreed to this week that would pull funding from schools with average 12th grade exam results of less than 40%. As many of the at risk small or "failing" schools are found in the countryside, there have been fears that this "optimization" process would contribute to the decline of the culturally important Latvian countryside, which has already suffered due to mass emigration to large cities and foreign countries as well as poor economic conditions. For more about Latvia's planned or proposed education reforms, check out our complete guide here, and stay tuned to Latvia Weekly as we continue to cover the ongoing saga of school reform. A new poll released tonight commissioned by TV3 and carried out by the Norstat firm has Jaunā konservatīva partija (The New Conservative Party) pulling into third place with 6.9%, ahead of Artuss Kaimiņš' populist upstart KPV LV party with 6.6% and current coalition partner Nacionālā apvienība (National Alliance) with 5.9%. This is a significant improvement in Jaunā konservatīva partija's ratings compared with a Latvian Public Media (LSM) commissioned poll by the SKDS group from the beginning of August which had the party in seventh place with just 2.9%, although it is likely that the two polling firms use different methodology. Like the August LSM/SKDS poll, the traditionally Kremlin-friendly Saskaņa party was in first place (14.9%), and of current Prime Minister Maris Kučinskis and President Raimonds Vējonis Zaļo un Zemnieku savienība (Union of Greens and Farmers) remained in second place (9.0%) The largest takeaway from this poll, however, should be that a stunning 37.6% indicated that they still hadn't made up their mind about the election, a massive block of voters who should make a significant difference in the weeks leading up to the election. For more about the election, make sure to visit our complete 2018 election guide here..
Swedish firm "Eolus Vind," which has constructed roughly 1/6 of Latvia's 3400 wind turbines, has announced a new €250 million project that will construct a new 51-turbine wind farm between Tukums and Dobele regions in the west of the southern Zemgale region. According to Ministry of Economics spokesperson Evita Urpena, the project will be funded without any government subsidies. The wind farm is expected to produce 0.7 terrawatts, or approximately 10% of Latvia's energy consumption. Luminor, the Baltic region's third largest consumer bank formed by the merger of Finnish Nordea's and Norweigan DNB's Baltic subsidiaries, announced on Thursday that 60% of its shares have been sold to American multinational investment firm Blackstone. 20% stakes will be retained by Nordea and DNB, with Blackstone planning to gradually buy the remaining shares in the next few years. According to LSM, the acquisition is the largest of it kind globally by private capital in the past decade. Ground was officially broken Friday afternoon on the new "Nākotnes nams" ("future house") addition to the Museum of Occupation in the center of Rīga's old town. The €5.2 million project based on a design by legendary Latvian architect Gunārs Birkerts (who also designed the national library) has been held up for years for various reasons, but it was finally confirmed on May 29th of this year. Now that construction has finally started it is expected to be complete in 12 months by the "Skonto Būve" firm, with relocation from the temporary premises at the former US Embassy building to be complete by 2020. Check out pictures of the construction process in the link below. 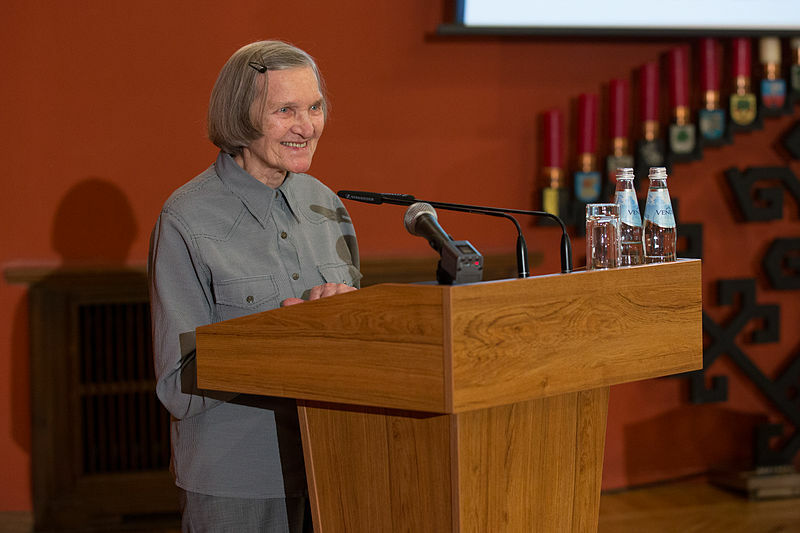 Soviet-era dissident Lidija Lasmane-Doroņina is one of 320 nominees for the 2018 Nobel Peace Prize, the winner of which will be announced on October 5th. The 93-year-old Lasmane-Doroņina was punished numerous times throughout the Soviet occupation of Latvia for offenses including the support of anti-Soviet partisan groups in the 1940s and 50s, the spread of religious material in the 70s, and anti-Soviet propaganda in the early 80s. She also has recieved the prestigious "Order of Three Stars" honor, but rejected it due to certain KGB agents having recieved the award as well. If you would like to learn more about her life, you can check out an extended interview (in Latvian only) here. 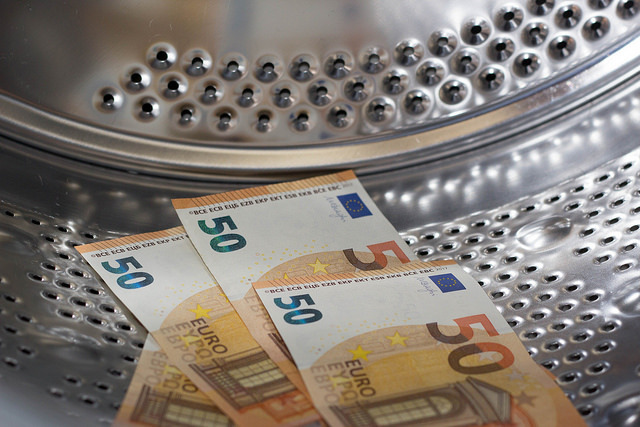 According to a report by the country's Financial and Capital Market Commission, the proportion of bank deposits by "non-residents" of Latvia is down to €3.2 billion (20.5%), compared with the record high of €12.4 billion (53.4%) in 2015. The government has made the reduction of "non-resident deposits" a priority since the dramatic collapse of the country's largest bank, ABLV, was triggered by a North Korea-related money laundering investigation by the United States, and the Latvian banking sector has been under increased scrutiny and pressure by European agencies. In just a year, Latvia has gone from the EU country with the highest percentage of non-resident deposits to a level in line with EU averages. Heads of state from Austria, Bulgaria, Greece, Croatia, Estonia, Italy, Malta, Poland, Portugal, Slovenia, Finland, and Germany were hosted by President Raimonds Vējonis at the historic Rundale Palace in the south of Latvia on Thursday and then at Rīga castle on Friday. The yearly informal meeting of the EU's "non-executive" (ceremonial) presidents dates back to 2003, and was previously hosted by Latvia in 2007. 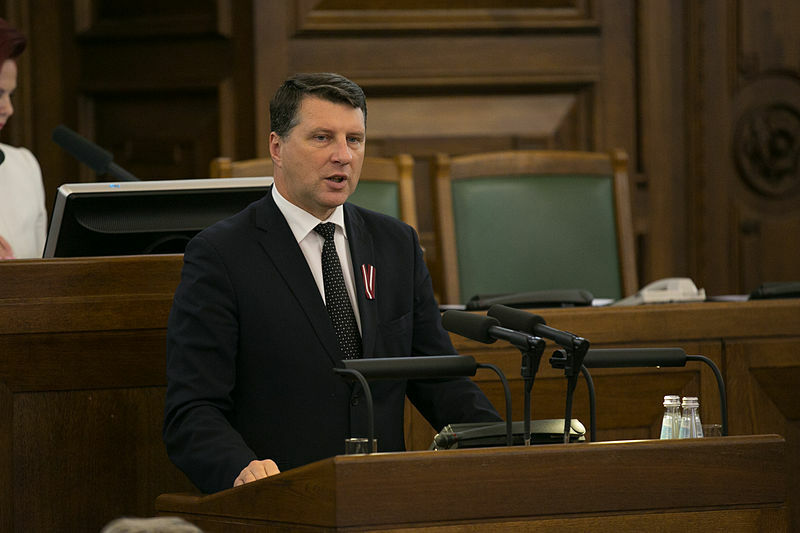 President Vējonis warned at the meeting at the EU has been slow to react to "internal challenges," and must be quicker to make and publicly explain "sustainable decisions." President Vējonis wasn't the only Latvian leader who had an important meeting this week. 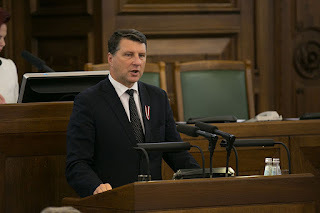 Prime Minister Maris Kučinskis joined his Estonian and Lithuanian counterparts along with German Chancellor Angela Merkel in a meeting hosted by Lithuanian President Dalia Grybauskait in Vilnius. Major topics that were discussed included sanctions against Russia and the extension of the "Nord Stream"gas pipeline under the Baltic Sea between Russia and Germany which critics fear will influence Russia's regional influence. 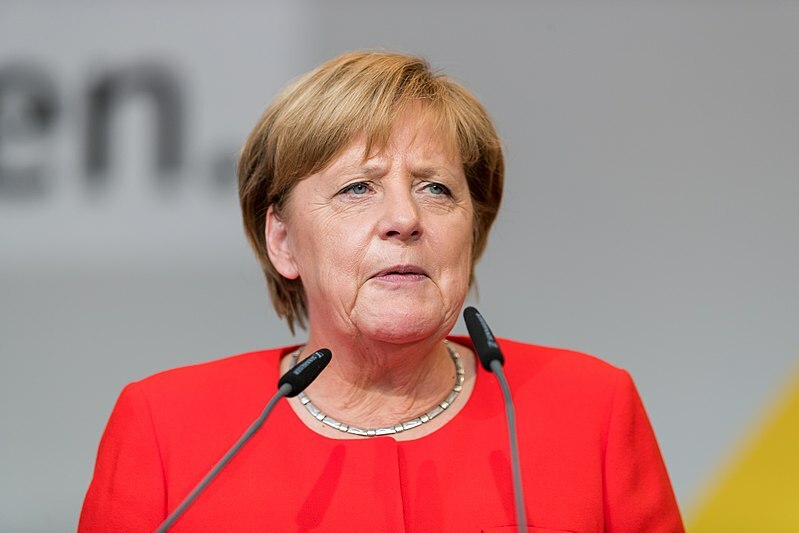 While Merkel agreed that the pipeline was a cause for concern, she called it an economic necessity for Germany. 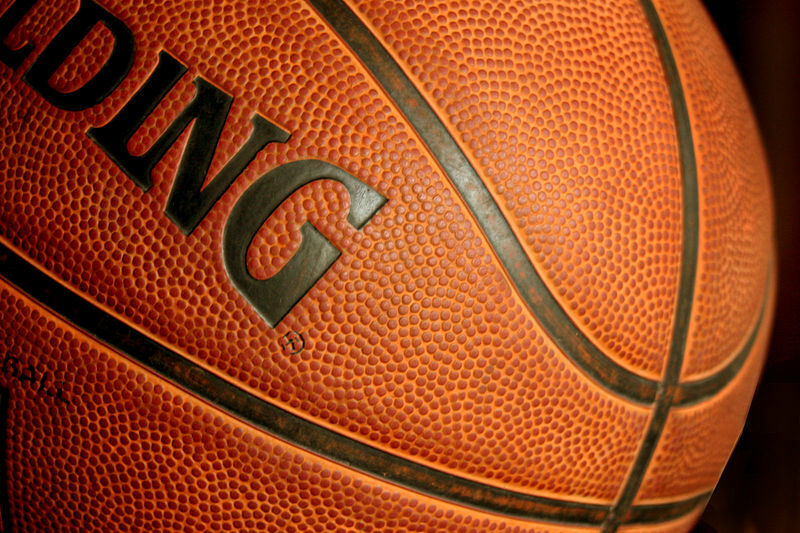 On Friday, Latvia's national men's basketball team defeated the current reigning European champion Slovenian team 85-74 in the second round of the men's Basketball World Cup qualifying tournament. Jānis Strelnieks and Jānis Timma put up 18 points each in the victory, while Aigars Šķēle and Artis Ate each scored 12 points (including three 3-pointers for Ate). The next day, Latvia's national women's basketball team tore Greece to shreds in a 94-57 blowout in an exhibition game just weeks ahead of the women's Basketball World Cup tournament. Kitija Laksa lead the team with 16 points, while Gunta Baško and Anete Šteinberga scored 15 points each (including 3 three-pointers out of three attempts by Baško). Despite the disastrous game, the #20 ranked Greek women's team will participate in the world cup later this month along with #26 ranked Latvia. In response to numerous recent complaints by visitors to Rīga's airport about badly behaving taxi drivers, especially the charging of sky-high rates for just a few kilometers to the city center, the state's tax service (VID) has stepped up enforcement of regulations such as the requirement of modern meters and providing of receipts. Although this uptick in enforcement has resulted in more than €60,000 in fines issued to law breaking taxi drivers, there is little the state can do against outrageous fares since the country's supreme court struck down maximum fare ceilings and opened up the taxi rank to any driver with a license in a decision made last September. Although we will not recommend any particular taxi service, Latvia Weekly would like to remind everyone that the public transit #22 bus goes back and forth regularly between Rīga Central Station and the airport and costs €1.20 per person, and late night service extensions are currently being planned. And that leads us into our poll of the week! This week we asked our Facebook readers if they would support the reintroduction of maximum fares between the airport and the center of Rīga, and 70% of the 20 respondents supported these price controls while 30% seem to favor a free market approach. If you would like to vote in next week's poll make sure to visit our Facebook page on Saturday morning. Make sure to "like" it if you haven't already had the chance to, as we also post "stories of the day" that highlight one important Latvian news story at the end of each evening. That's all for this week! Take care, and see you next Sunday!